The Large Hadron Collider is probably the world’s most famous science experiment. The 27 km-long ring-shaped particle accelerator beneath the edge of the Alps grabbed the world’s attention in 2013 when it proved the existence of the Higgs boson particle. This helped physicists confirm that one of their key theories about the way the universe worked was correct – a huge step for science. But particle accelerators also have a big impact on our real lives. Even Christmas wouldn’t be the same without them. Particle accelerators accelerate the tiny building blocks of matter by using electric fields to speed them up to high velocity/energy. These electric fields are the invisible force field created by charged objects, like static electricity or high voltage equipment. These devices were initially invented to study what happens when particles collide with each other or with targets. These experiments allowed us to understand the particles themselves, the world around us, and nuclear physics (the study of the atomic nucleus). In itself this knowledge has been vital to the development of many technologies such as MRI scanners in hospitals and nuclear power stations. There are also medium-sized accelerators that produce intense light or neutrons to allow physicists, biologists and pharmacologists to study materials, viruses, proteins and medicines, leading to countless Nobel prizes and new drugs and vaccines. They are even used by chocolate and ice cream makers to study how to make the tastiest products by using X-rays to look at the formation of different crystal structures and how to avoiding icy or chalky parts. However, the most common type of particle accelerators are not the big 27km giants but the small industrial and medical accelerators that are all around us. Particle accelerators play a vital role in modern health care. The isotopes used in PET scanners are normally produced in a particle accelerator, and accelerated electrons are fired onto targets to produce X-rays for radiotherapy and imaging. In the UK, the NHS is constructing two special radiotherapy centres at Manchester Christie and the University College London hospitals that use protons rather than electrons for radiotherapy, which allow more targeted doses of radiation with less risk to surrounding tissue. 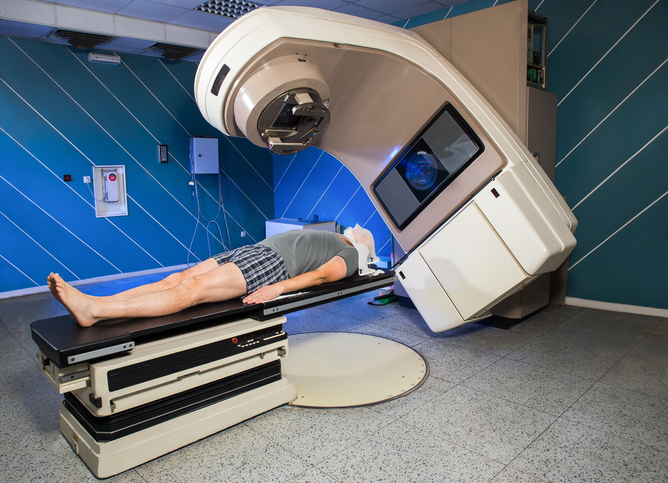 The same X-ray sources as used in radiotherapy are also commonly used to boost security at ports and airports. The technology can be used to scan cargo, to ensure that nothing is being smuggled into the country. Due to the size of most cargo, a particle accelerator is needed to produce the high energy X-rays that are required. By using two different X-ray energies, we can even distinguish between different materials (similar scanning can also be done using neutrons). A new generation of these scanners may also be able to identify emissions from drugs, or explosives when treated with X-rays. The X-rays from particle accelerators also have the handy side effect of killing bacteria and insects and this has led to them being used for sterilizing equipment and for treating tobacco, grain or spices to kill any insects, so reducing waste. They can also be used for breaking down nasty elements in waste water or flue gases to protect the environment. Electrons or X-rays generated from particle accelerators also have a lot of industrial uses. They can be used to activate certain molecules in paint or composite fibers to make it dry faster, this process – called curing – is commonly used in cereal box printing or making aircraft parts. Without curing, companies would need huge warehouses just for storing things while they dried out. 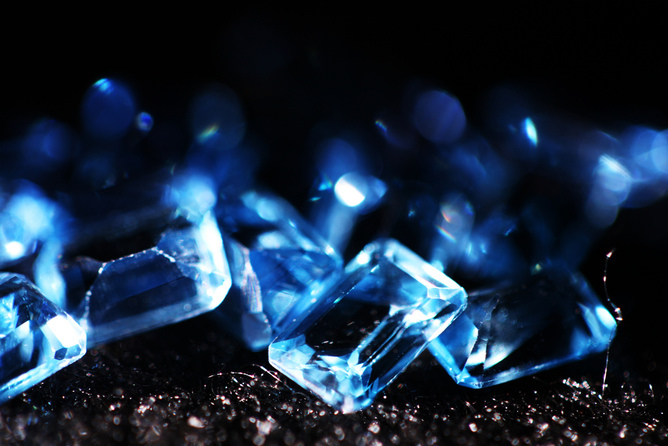 They can also be used to change the color of gemstones, for example an accelerator turns the naturally colorless or brown topaz into the nice blue color normally associated with it. Particle accelerators are also used to implant ions in semiconductors to tailor their behaviour in electronics, such as mobile phone chips. One common use for particle accelerators is cross-linking, where the particles are used to break polymer chains in a material so they recombine in a stronger configuration. This is commonly used to make the plastic in electrical cables heat-resistant or to make shrink wrap for keeping your Christmas turkey fresh. The plastic is stretched and then placed in an electron beam so that when it is heated it shrinks back to its original size. This provides a strong and tight wrapping, protecting your turkey from nasty bacteria.